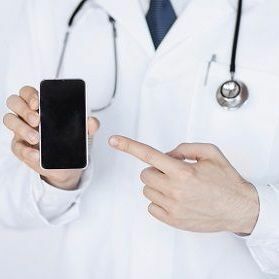 Research presented at the American College of Cardiology (ACC) 2019 Annual Scientific Session shows that people with diabetes and uncontrolled high blood pressure were monitored adequately through a through a blood pressure smartphone app. After just 6 weeks, study participants saw significant declines in blood pressure thanks to the app, which monitors blood pressure, gives tips on healthful living, and connects users with a health coach. “We have shown in this pilot study that, in a population with both diabetes and high blood pressure, 6 weeks of remote blood pressure monitoring—accompanied by education about high blood pressure management and access to health coaches—can significantly improve blood pressure control,” said lead study author Bimal R. Shah, MD, chief medical officer of the health technology company Livongo, assistant consulting professor at Duke University School of Medicine, in a statement. The Livongo-funded study included data from 708 participants who used an app developed by the company. Participants were given a blood pressure monitor and a cuff that wirelessly connected to the app. When participants measured their blood pressure, which they did 4 times per week on average, readings were automatically transmitted to Livnogo’s servers. After readings, participants had the opportunity to open the app in order to review results or get tips on blood pressure management including reminders to take medication, following a healthy eating pattern, being more physically active, and to lose weight. At the beginning of the study, all of the participants had diabetes, and 63% had blood pressure higher than 130/80 mm Hg, the threshold for diagnosis of stage 1 high blood pressure per ACC/American Heart Association (AHA) 2017 guideline. Additionally, 28.7% had blood pressure higher than 140/90 mm Hg, the threshold for stage 2 high blood pressure per the same guideline. At 6 weeks, 40.8% of participants had blood pressure below 130/80 mm Hg, while 23.6% still had blood pressure higher than 140/90 mm Hg. The study’s primary endpoint was reduction in systolic blood pressure at 6 weeks and the secondary end point was the reduction of diastolic blood pressure at 6 weeks. Investigators concluded that participants with the highest blood pressure at baseline were the most likely to see reduction in both systolic and diastolic pressure by the end of the study. This suggested that awareness of blood pressure levels and regular monitoring aided participants by reminding them to take their medication as directed and undertake behavioral and lifestyle changes known to improve blood pressure control. Shah pointed out that one of the limitations of this study was that it did not include a control group that received usual care for high blood pressure. He added that he and his colleagues are planning to conduct a trial where patients are randomly assigned to either use the app or receive typical care. The study, “Remote Monitoring of Blood Pressure in T2D Population Decreases Systolic Blood Pressure at 6 Weeks: A Pilot Study,” was presented at ACC 2019.